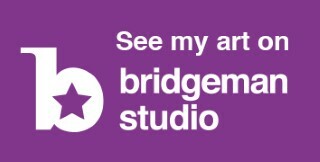 My studio as of 14-5-11. The canvas on the easel is one I blogged about in passing (date: 28-6-10). Some paintings need to be lived with for a while. Then, on reflection and in companionship, you can see where they need to be developed. In this instance nothing radical but through small, intense moments of activity it pulled together. A painting is complete when an artist can enter the studio over a period of time and the painting in question no longer 'agitates' them. It holds together formally and emotionally.